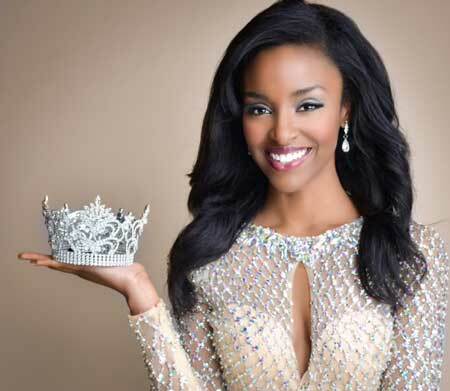 On July 6, 2014 Megan Gordon, native of North Augusta, South Carolina, was crowned Miss Collegiate America 2014! She represented the state of South Carolina as she traveled to Orlando, Florida, and competed for the crown. While there she took home the awards of best overall interview, best overall evening gown and most photogenic. Megan is the daughter of Mrs. Lisa (Rev. James) Dukes and Mr. Wilbur Gordon, Jr. Her grandparents are Deacon John Collins, Sr. and the late Betty Collins and Deacon and Mrs. Wilbur Gordon, Sr. of Edgefield, SC. During her reign, Megan will be promoting the pageants national platform, “The Crown C.A.R.E.S”. This special program focuses on taking a stand against bullying in schools and helping to create a kind, safe environment for students. She will be traveling throughout the USA and abroad. Some of her travels will include Ohio, Arkansa, Atlanta and New York, some of her International travels will include Barcelona, Rome, then on to Peru. Megan is excited about her year and says that she is extremely grateful for the opportunity.